Liza Scriggins is a graduate of Williams College (BA) and the New England Conservatory of Music (MM), where she studied viola with Burton Fine, then Principal Violist of the Boston Symphony Orchestra. She has participated in numerous summer music festivals throughout North America and Japan, including the Pacific Music Festival, Kent/Blossom Music, and the Utah Festival Opera. In 2001-2002, Liza completed a masterclass program and long-term residency at the Banff Centre. She taught and performed at the Comox Valley Youth Music Centre in August 2005, and over the past several summers has played in Calgary’s own Mountain View Festival. Liza has had the honour of playing under the baton of such luminaries as Seiji Ozawa, Sir Simon Rattle and Michael Tilson Thomas, and has also performed chamber music with Geoff Nuttall (St. Lawrence String Quartet), Jonathan Crow, and Anton Kuerti. An active freelance musician, Liza can be heard playing with the Red Deer Symphony and Mountain View Connection. Liza has also performed with the Calgary Philharmonic, National Ballet, Kensington Sinfonia, Calgary Instrumental Society, Allegra String Quartet and Land’s End Chamber Ensemble. She is on the Land’s End disc Rollin’ down #1, which won the 2006 WCMA award for Outstanding Classical Recording, and her playing was broadcast on CBC Radio as a member of Sempre la Musica. Before coming to Alberta, she was a member of the Vermont Symphony and performed in ensembles all over New England. Liza teaches both violin and viola to students of all ages and levels. Before joining the faculty at Mount Royal Conservatory in 2009, she held positions at Studio Nine School of Music and Chinook Studio in Calgary. 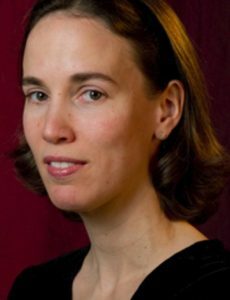 She also taught in the Boston area at Creative Arts for Kids, Arlington Public Schools, Boston Music Education Collaborative, and the Monteverdi Music School in Montpelier, Vermont. Liza attended the 2009 Alberta Suzuki Summer Institute where she completed training as a Book 1 Suzuki violin teacher, studying with Michele Higa George. She greatly enjoys sharing with her students in the lifelong journey of discovering the wonderful world of music.